Create a new mood with color. 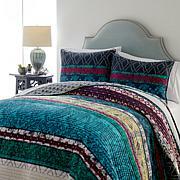 This simple quilt set helps you create a space that is the perfect springboard for your style. 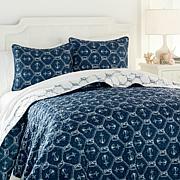 Layer on your taste with soft sheets and adorable decorative pillows, and enjoy living vividly with this set on the bed. Your style sets the tone, and it begins with color. 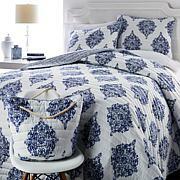 LOVE, LOVE this comforter & shams! 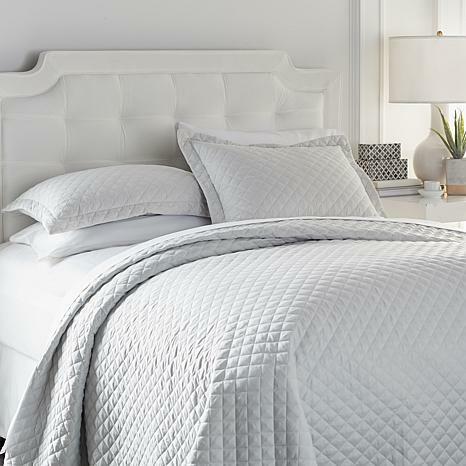 The ivory color is a soft beautiful buttery yellow and so soft! Washes like a dream & dries super quick! Very comfortable to sleep under! 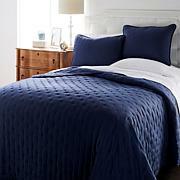 Had to get the Queen size, as the king was gone, I do like a longer quilt on our spare bed, but it will do, and the sale price was nice also. 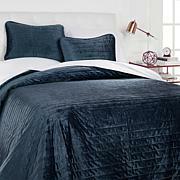 Material is nice, and my husband likes it as its not too heavy or light weight. 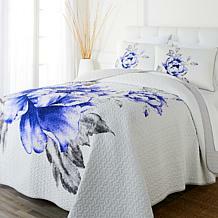 I was thrilled to see this on HSN as a low cost alternative to the much higher priced bed covers in other stores. This is on my daybed in my guest room. 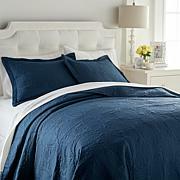 It is made beautifully and though polyester it looks and feels like expensive cotton. I am very pleased with the quality. Got it in grey and it is beautiful. So glad I got it.